Happy New Year to you and yours from the Karpiuk family! To kick off 2010, we’ve given our blog a major facelift, as you’ve probably noticed. Not only do we have a new layout, but we’ve got a whole new domain as well. The old gallery system has been replaced by a slick Flickr account integration; you can see the most recent uploads in a photostream off to the right there, and clicking the “gallery” link above will take you to all of our photos (most recent sets at the top) and photo collections. Everything from the old Look At Us Go gallery has been moved over and old links on Look At Us Go will now redirect here to thekarpiuks.com. (While we feel like we’ve caught them all, if you find any faulty links just let us know!) Our email addresses have also changed accordingly. You can email us both by using us [at] thekarpiuks.com or individually with our name [at] thekarpiuks.com. With all of the immigration dust nearly settled, family is hopefully on the horizon; a fresh start with our family blog in a fresh new year seemed to be the way to go! Speaking of immigration, we took a quick road trip to Toronto earlier this week for Lucas’ medical appointment. All went well and he flies back in to pick up the results for his final interview appointment in Montreal on January 5 to get his green card.Â We’re really excited about the final piece falling into place so that we can move on. While in Toronto we enjoyed good sushi and good company and were sure to get our fill of Tim Hortons and other Canadian goodies that we’ve been missing. Special thanks to Ronald and family for their amazing hospitality! 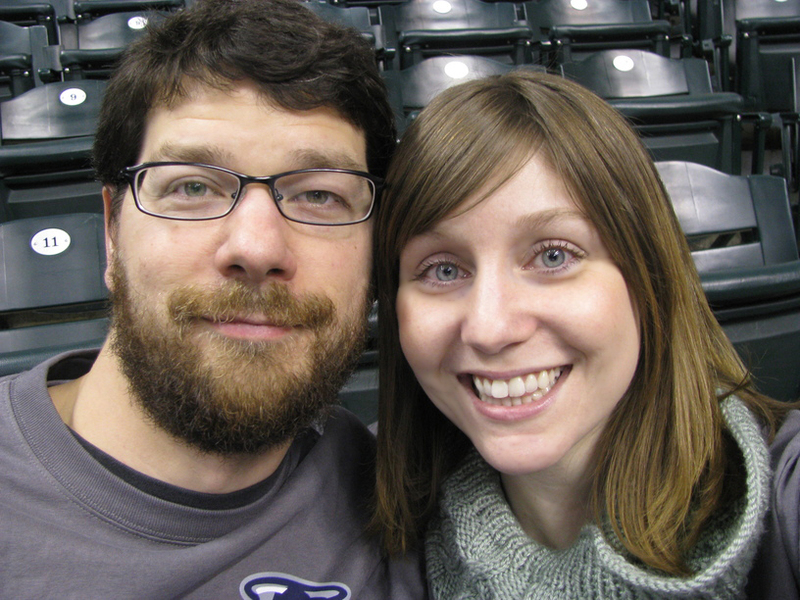 2009 went out with a bang.Â We treated my parents to dinner and their first live hockey game: the Indiana Ice vs. the Chicago Steel at Conseco Fieldhouse. It was a great time and afterwards we went back to their place and played Wii Fit until the ball dropped. Pictures can be found in a set on our gallery page. Lucas was of course my first kiss of the new year, with Oliver and Winston a close second and third ;) I sure am lucky to have such a great family. I can’t wait to see what’s in store for us in 2010. May 2010 bring you a fresh start, new excitement, and good health! Cheers. There are 2 comments to this post. Happy New Year Lesley and Lucas!